The Old Gordon trail is located near the east entrance to the Colorado National Monument. The Old Gordon trail was originally a toll road used to move stock and timber. The road was built by John Gordon in the 1880s. John Gordon also operated a ferry that crossed the Colorado River. The ferry and toll road fell out of use with the completion of the Broadway Bridge and the Serpents Trail. The only other main route that led up to Glade Park and the Pinyon Mesa was via the Fruita Dugway. Some sections of the trail still show signs of use from the wagons that once plied its course. The hike begins at the Devils Kitchen trailhead. This trailhead is usually pretty busy because of all the trails that depart from this one location. If the parking area is full there is even more parking available at the Devils Kitchen Picnic Area. The elevation at the parking lot is around 5040 feet. 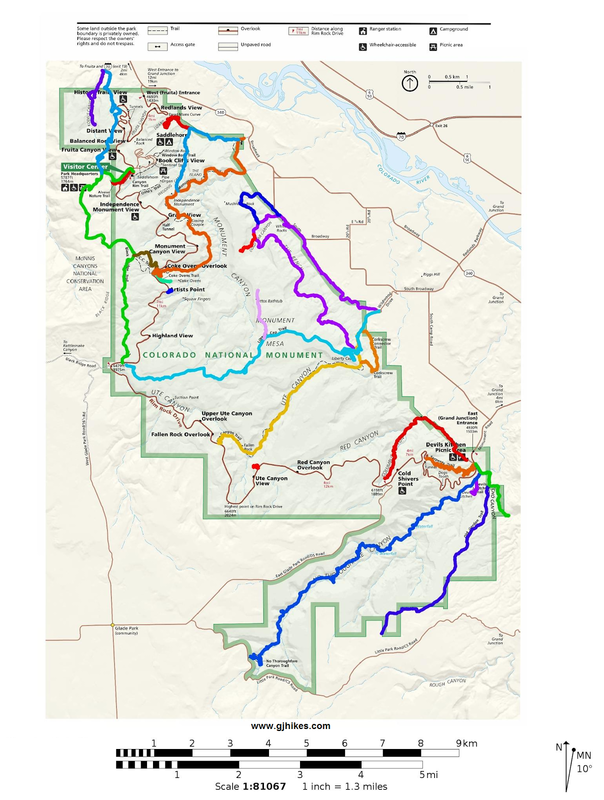 The trail begins by descending into the wash of the lower section of No Thoroughfare Canyon and ultimately drops to 4990 feet before the climbing begins. The first fork in the trail was less than 2 tenths of a mile from the trailhead. The trail descends into the wash and out the other side just past a stand of cottonwood trees. There are several smaller trails that branched off in both directions but the Old Gordon trail is the most obvious and well worn trail. A short distance past the wash, about a quarter mile from the trail head, the trail begins its accent. The trail passes the turnoff for the Echo Canyon trail and continues working its way up the slick rock. The sections of slick rock are well lines with rocks to keep you on the right path. About 3/4 of a mile into the hike the climb begins to level off just a bit. By now the elevation has already climbed to 5260 feet. There are a lot of fun looking areas to explore in this area. If someone were to hike no further than this with their kids they would find themselves in a very pleasant area to play and have a picnic before heading back. After hiking 1.5 miles the trail has reached an elevation of 5752 feet. The trail continues to climb at varying degrees until it reaches the end but the further you go the less steep it is. The object of the Old Gordon trail was after all to provide access from the valley floor to the upper reaches of the plateau where grass and timber were more abundant. Around the 2.5 mile point of the hike the trail begins to show less signs of use. This area is a good spot to keep your eyes peeled for deer and possible a mountain lion. At 2.6 miles you pass a section corner that is near a 90 degree corner in the monuments boundary. At 3.3 miles the trail ends at the NPS boundary fence. 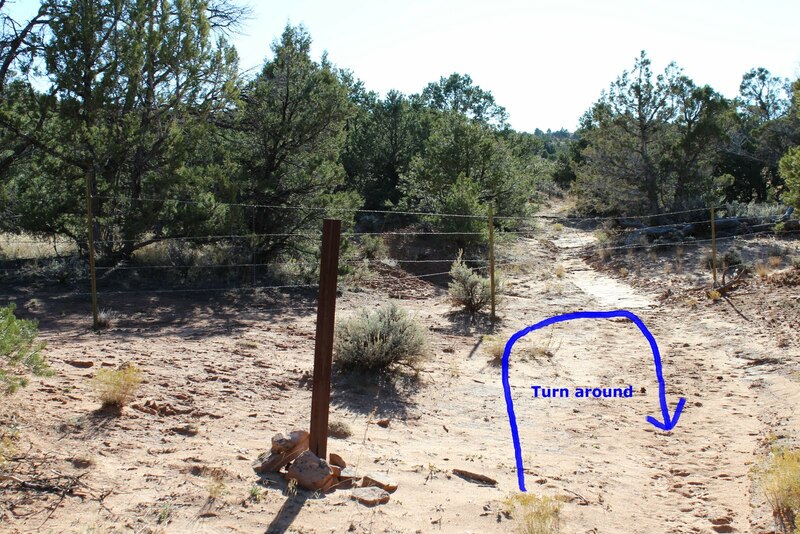 It is possible to cross the fence and continue hiking a little further on the BLM land but if you continue to follow the original Old Gordon trail it runs into private property before meeting up with the Little Park Road. After climbing 1800 feet in elevation from the lowest point you are high enough that you can see across the top of the Monument. The trip back takes considerably less time as it is all downhill until you get to the wash. There isn't much point in hiking past the NPS boundary fence unless you feel you just need to get some more hiking in.The prettiest section of the trail is probably the section between 1 and 2 miles. 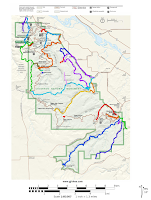 If you are good at reading maps and finding your way you can hike over to the Ribbon trail and come out on Little Park Road without ever crossing private property. Whether you are just looking for a new place to hike or like a good workout the Old Gordon trail is a good option. If you want to see it for yourself then all you have to do is 'Take a hike'.